What is a Da Form 3349? 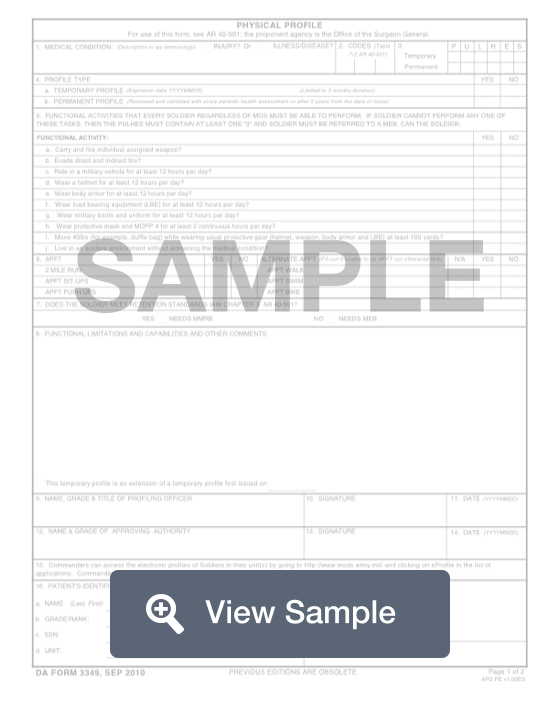 A fillable DA 3349 Form is used to document the physical fitness and capabilities of a US Army soldier. The purpose of the form is to record whether the abilities of the soldier. It includes the soldier's ability to finish a two-mile run and push-ups. The form is used to determine the type of job that a solider can performed related to their physical abilities. A DA Form 3349 will be used by the United States Department of the Army. It is known as a Physical Profile form and it will be used as a way to keep a record of a soldier’s physical profile. This includes their physical fitness level and their physical capabilities. The form includes a list of physical activities that a soldier will be likely to encounter during their service. The person filling out the form must list whether or not the individual is capable of performing this task. The form will also include physical testing activities as well, such as the 2 mile run and push up test. The soldier’s ability to complete these fitness tests must be noted. A DA Form 3349 is used to ensure that all members of the Armed Forces are healthy enough for service. The physical profile will help soldiers to have an appropriate job and be assigned according to their physical ability. 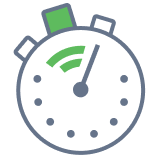 Create a free Da Form 3349 in minutes with our professional document builder.